When a young wild orca named Morgan was captured from the wild and sold to a marine park, she lost everything natural in her life — and now people are worried her life just got even worse. Last week, Loro Parque, a controversial zoo and marine park in the Canary Islands, announced that Morgan, one of its resident orcas, gave birth to a new calf. While supporters of the park celebrated the news, animal welfare advocates took a different view — they believe that Morgan shouldn’t have had a baby in the first place. 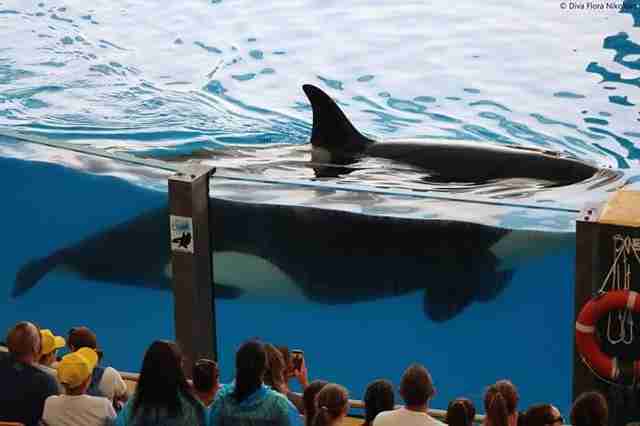 Prior to 2010, Morgan was a wild orca who lived freely in the ocean with her family members. But when she was found emaciated and weak in the Wadden Sea, the team at the Dolfinarium Harderwijk in the Netherlands captured Morgan and nursed her back to health. 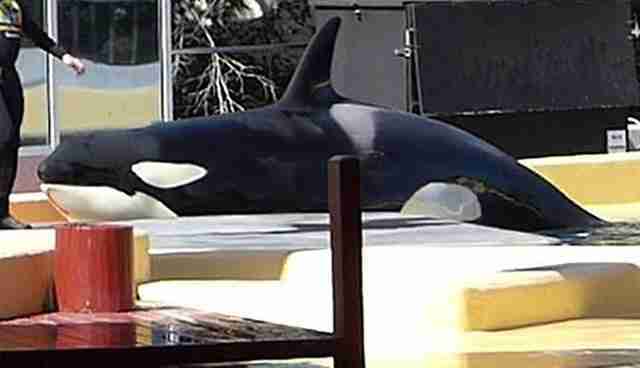 But instead of returning her to the ocean once she was better, they shipped her to Loro Parque in 2011, an amusement park that makes money off its performing orcas — four of whom were borrowed from SeaWorld, although SeaWorld no longer lays claim to them. 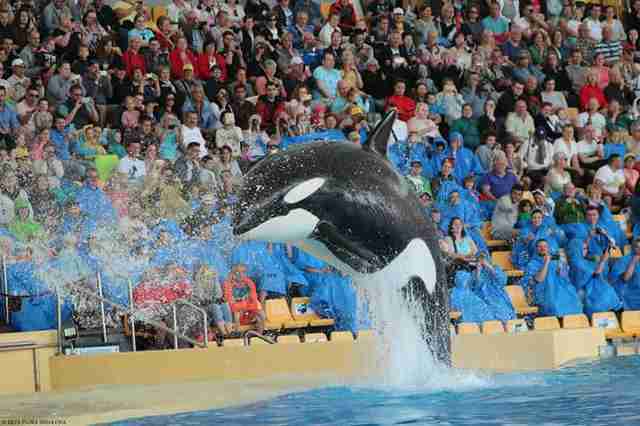 Since then, Morgan has been forced to perform show after show at Loro Parque, and she’s often shown signs of distress. In 2016, Morgan was filmed intentionally beaching herself on two separate occasions, highly abnormal behavior. It’s likely she did this to avoid aggression from her tankmates as she has been relentlessly bullied by her companions, Dr. Ingrid Visser, an orca biologist and cofounder of the Free Morgan Foundation, told The Dodo at the time. 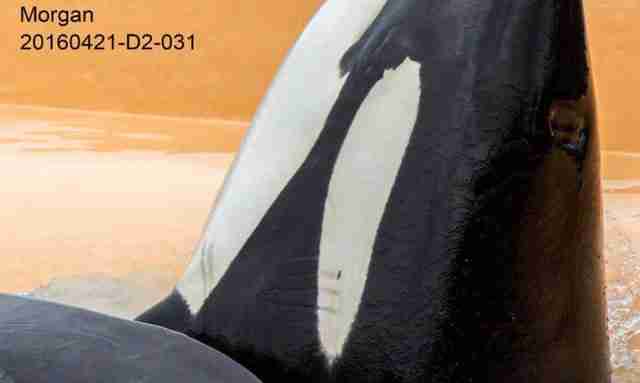 In fact, photos emerged of Morgan showing deep rake marks from other orcas’ teeth across her eye patch and belly. Now Morgan is being faced with a new challenge — taking care of a baby she shouldn’t have had in the first place. In the wild, female orcas have a lot of control over whom they mate with, according to Naomi Rose, a marine mammal scientist at the Animal Welfare Institute (AWI). If they’re not keen on mating with a particular male, they can just swim away. 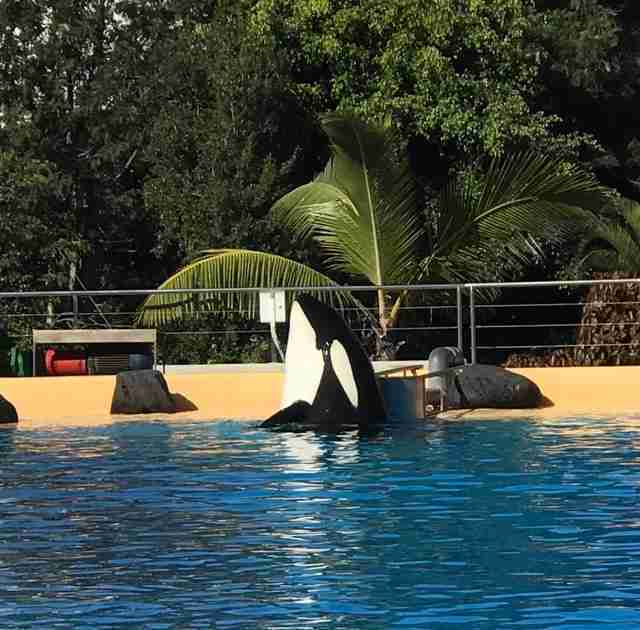 But in a captive environment like Loro Parque, Morgan probably couldn’t freely choose — while it’s possible the park artificially inseminated her with outside sperm, it’s more likely the father is one of the park’s two older male orcas, Keto or Tekoa. Rose doesn’t believe the park should have ever allowed this to happen, mainly due to Morgan’s young age and her inexperience as a mom. There’s also the issue with Morgan’s milk production. Two days after giving birth, the park separated the baby from her mom, citing Morgan’s inability to produce enough milk. 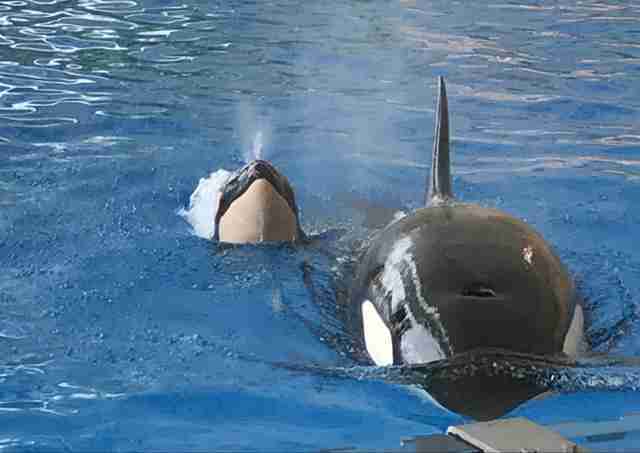 While it’s not clear if the park’s explanation is true, Rose points out that captivity makes it extremely difficult for an orca mom to nurse her baby, especially when she’s stuck in a smaller-than-usual tank. The park has now returned the calf to Morgan and, in a recent blog post, wrote that staffers were supplementing Morgan’s milk with bottle-feeding. Yet Rose remains skeptical about what’s going on at the park. In 2010, Kohana, one of the two other resident female orcas at Loro Parque, gave birth to a male calf named Adan, whom the staff had to raise after Kohana rejected him. After Kohana’s failure at motherhood the first time, the park still allowed her to get pregnant again. In 2012, she gave birth to a female calf named Vicky, but Kohana rejected her as well. Once again, the park stepped in to raise the calf, but Vicky died the following year. Unfortunately, Rose thinks Morgan has been held in captivity for too long now to be safely returned to the wild, although she could be retired to a seaside sanctuary. To help create a seaside sanctuary where orcas like Morgan could comfortably retire, you make a donation to the Whale Sanctuary Project.